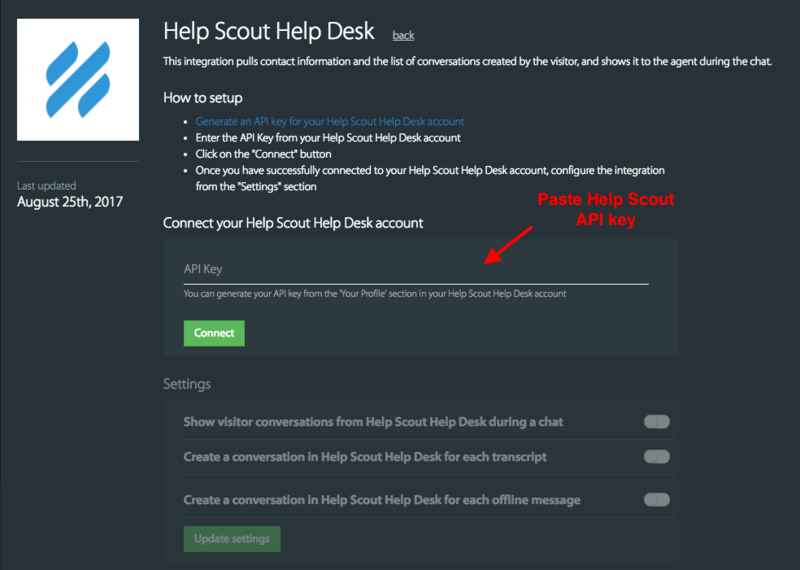 Help Scout is a simple HelpDesk software. Send the completed chats, missed chats and offline messages as conversations into Help Scout mailbox. 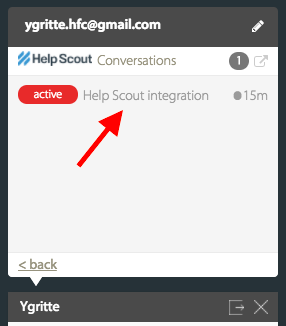 During an ongoing chat with repeat customers, you can view the previous conversations created on on Help Scout along with the current status. View the conversation details inside each chat transcript under 'History' section of your HappyFox Chat account. Only Admin(s) of HappyFox Chat can perform this integration. This integration is available on Mighty and above plans. 1. Login to your Help Scout account. 2. Go to Your Profile --> click 'Authentication' from the left pane. 3. Copy Help Scout API key. 2. Navigate to Apps --> Helpdesk --> Help Scout --> Click "Install". 3. Paste the API Key and click "Connect". 4. For each of the below settings, choose preferred mailbox from the dropdown to create conversations in. 5. Click "Update Settings". You are all set! 1. Chat transcripts are posted as conversations to Help Scout. 2. a) Help Scout information during a chat session. 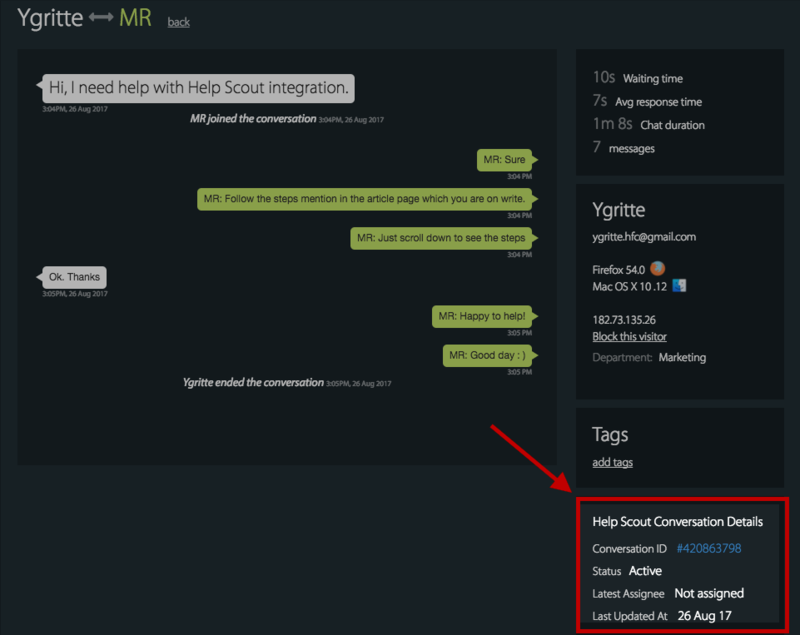 2. b) Click '1 conversation from Help Scout'. 2.c) Click the conversation and you will be directed to the respective conversation on your Help Scout account. 3. 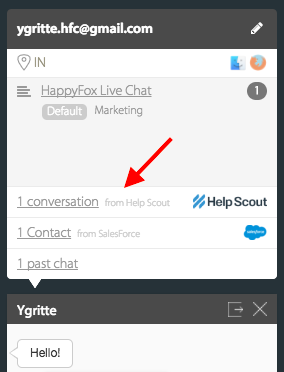 Under History section of your HappyFox Chat account, you can view Help Scout conversation details inside each chat transcript.